Sure, social media is a cool way to interact with your customers and spruik your small business, but sometimes you need to log out of Facebook and have actual human interaction. Even in our tech-heavy age of smartphones and living online, nothing beats pressing the flesh, says Laura Huddle, Head of Marketing for events listing firm website, Eventbrite. And hosting an event is a surefire way to meet and greet your customers and grow your business. Whether you’re a local firm or online-only small business, events can help to make or break you. “As we become more technologically advanced as a society -- we have phones, really computers -- at our fingertips all day,” she told The Huffington Post Australia. “But what we found was with research we’ve done is that people, especially millennials, crave that human interaction and the value of face-to-face experiences. So finding a way to connect in person is critical. James Crawford, founder of coffee-review website Beanhunter, said his company benefited from organising monthly “taster” events for the site’s several hundred thousand members. “We have a very enthusiastic of community coffee lovers and wanted to find a way to engage with them offline,” he said. “We brewed up the idea of running regular events, where we would partner with a top quality Melbourne roaster and invite Beanhunter members to attend. These nights allow our partner roaster to showcase their coffee and additionally educate our members on what's new in coffee. But where do small business owners start when considering running an event? Here, Crawford and Huddle offer their top tips for small businesses to organise events of all shapes, sizes and budgets. Huddle said organising an event could be intimidating if you’ve never done it before, but it didn’t have to be massive to be successful. And don’t think that you need a huge venue or thousands of guests, either. 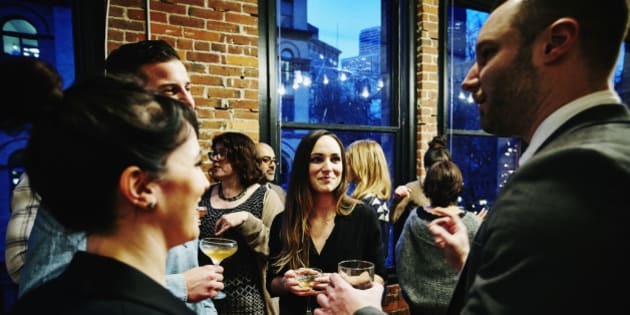 “A lot of times the smaller, more intimate events allow that business to truly connect with their customers because they can meet individuals,” Huddle said. Huddle said the best events were the ones with careful planning -- start at least 6-8 weeks beforehand and think about your goals: Do you want to attract new business, reward existing customers or just have a social networking night? Eventbrite’s Laura Huddle says hosting an event doesn’t have to be intimidating. Crawford suggested a good first step was asking your customers what they wanted. “Before you spend any time organising an event, test the idea by asking your users, customers or members if they would attend an event in the first place,” he said. “It sounds simple, but you'd be surprised with the amount of helpful feedback you can get. How often do I have an event? Event “seasons” vary from industry to industry, said Huddle. Food and wine companies are busier in the summer months whereas a lot of professional and business events peak in spring and autumn for example. Use your customers’ feedback to gauge when would suit them, and whether a weekend or mid-week event would work best. Crawford said asking customers as well as talking to other startups helped them enormously. Huddle said there were simply no hard and fast rules when it came to the frequency of your events. There’s no need to overdo it -- don’t spend thousands if you can’t forecast a huge financial windfall from it. Keep your budgets low to start, Huddle said. Your budget will determine the size of the event but you can drive costs down by partnering with another organisation in your industry who is not a direct competitor. “If an SMB is just starting out and doesn’t have a great database or social following, finding a partner that aligns with your values can be a good idea and you can go in it together and help you save on money and potentially reach new targets,” she said. Crawford says partners have been an integral part of his events -- coffee roasters are lining up to be involved. Do I do it myself or hire someone else? This all depends on your budget and your self-confidence, Huddle said. “An event planner or event management company can be extraordinarily helpful,” she said. “It can be your right-hand person to take care of everything and they are pros. Hiring a university or college student who is studying event management could help to keep the costs down. Monthly taster events are a hit for coffee review site Beanhunter, said Co-founder James Crawford. But she said it was OK to embrace the challenge, especially if you want the event to have a personal touch. “There is also a lot of information available online in terms of your event planning checklist, so I wouldn’t be afraid to handle it in-house,” she said. I’m all over social media -- why do I need an event? Huddle said just because you're on social media, it didn't mean you’re actually being social. “If a small business is not on social media it is definitely ignoring a fundamental channel to reach people and certainly reach millennials,” she said. “It is a critical channel and shouldn’t be forgotten but it doesn’t replace that in-person connection. Huddle says you didn’t need a massive social media following to have a successful event -- there are other forms of marketing including emailing your clients and customers and advertising -- but it is very helpful to use it through the event to generate buzz and score a greater following. Beanhunter uses social media to share photos of the event online and get momentum from attendees and those who missed out (who may then get FOMO). “We had a photographer attend each event and take high-quality photos which we then share on social media, add to our blog and also email to our wider group of members who may not have been able to attend,” Crawford said. Borrowing off a partner’s social media is another way to use online tools to create a successful offline event.